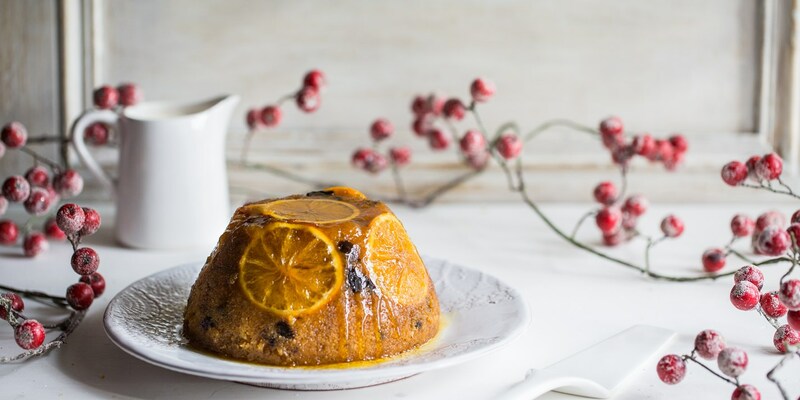 Use this collection of Christmas desserts as a source of inspiration, from quick and easy puds that will keep the family happy, to gourmet masterpieces that riff on all things festive. For a simple dessert that won't leave you feeling groggy, try Andy Waters' cinnamon-laced baked plums, which are full of flavour, yet take only 30 minutes to whip up. Josh Eggleton serves his caramel panna cotta with gingerbread - a delicious yet elegant nod to the festive season, while Simon Hulstone updates a classic Christmas dessert with his blackberry trifle.